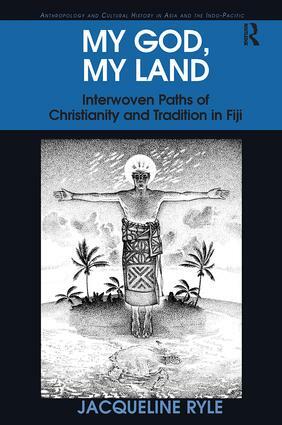 Examining the multifaceted nature of Christianity in Fiji, My God, My Land reveals the deeply complex and often paradoxical dynamics and tensions between processes of change and continuity as they unfold in representations and practices of Christianity and tradition in people's everyday lives. The book draws on extensive, multi-sited fieldwork in different denominations to explore how shared values and cultural belonging are employed to strengthen relations. As such My God, My Land will be of interest to anthropologists of Oceania as well as scholars and students researching into social and cultural change, ritual, religion, Christianity, enculturation and contextual theology. Contents: Series Editors’ Preface: woven histories and inter-denominational anthropology, Pamela J. Stewart and Andrew Strathern; Prologue: the dust of creation; Introduction: interwoven representations of past and present; Paths across space and time; Healing the land; A path of mats: a village funeral in Nadroga; Paths of reciprocity; Roots and powerful new currents: redefining Christianity and tradition; Healing brokenness: Catholic charismatic rites of healing and reconciliation; Dignity in difference: paths of dialogue in diversity; Bibliography; Appendices; Index.